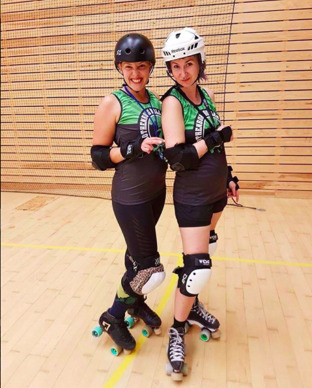 Next year the third Roller Derby World Cup will take place, and as previously, Sweden will be sending a Team to compete. Try outs were held earlier this year, where a couple of our players competed for a spot. We are now pleased to announce that three of our players have made the cut to train for the World Cup with Team Sweden. The players are (as pictured): Fia med Knuff, Mithra and Stoppless. Training with Team Sweden will begin shortly. All three of them are nervous, but also very excited. Big congratulations and we wish them the best of luck on their way to the World Cup. 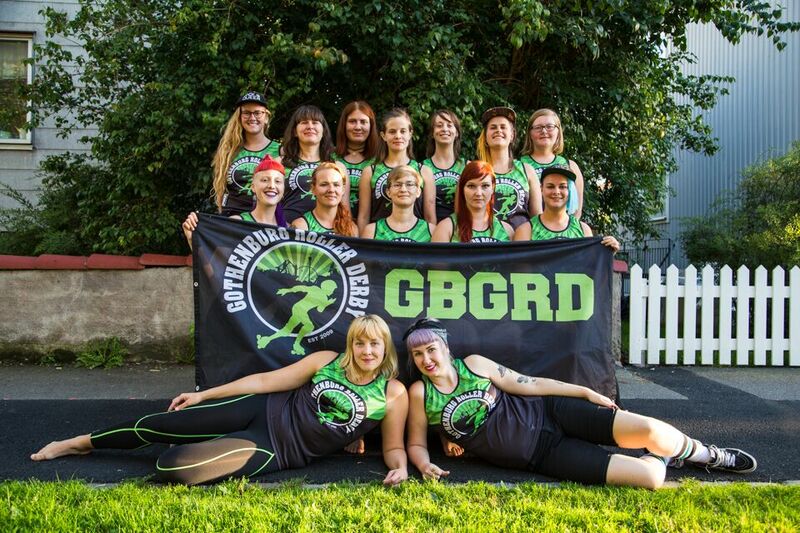 Here they are - the two teams that will be representing Gothenburg Roller Derby this fall! They are The A-Team and Badass Beavers. They are training hard each week and will be playing several games this season. The team is happy to see two new faces on their charter, as well as several transition skaters. They are looking forward to a season consisting of training hard and developing new strategies, making the players even better at the things they're already good at. 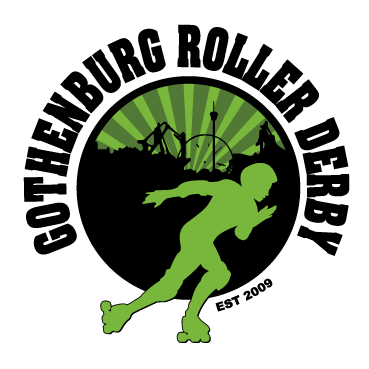 The A-Team will be heading to Malmö on November 12, where they will face off against Roller Derby Madrid in a WFTDA sanctioned game. The captains for The A-Team are Vulvo Amazon #56 and Rainbow Smash #34. This season, the team consists of approximately 50% experienced players, and 50% new eager players, perfect conditions in other words. Badass Beavers will play 3-4 games this fall, with their main goal being an away game against Vienna's B-team on November 5. The team is focusing on making use of every player's experiences and knowledge, as well as giving everyone a chance to develop according to their own abilities. 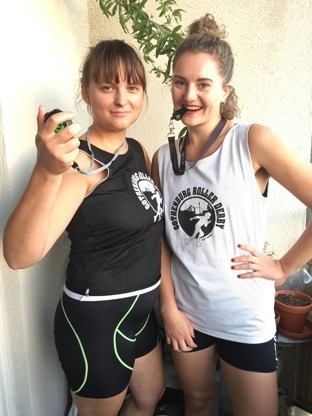 The captains for Badass Beavers are Rollosaurus Flex #7 and Pain Gretzky #404. We are super proud of our teams and know they will blow everyone away out on the track! It is going to be an exciting season and we can't wait for the first game. Keep checking our website as well as social media for news on upcoming games. look forward to this fall. Training has started and we are happy to be back from our derby vacation. The most exciting part of a new season are the entirely new faces that have joined us. 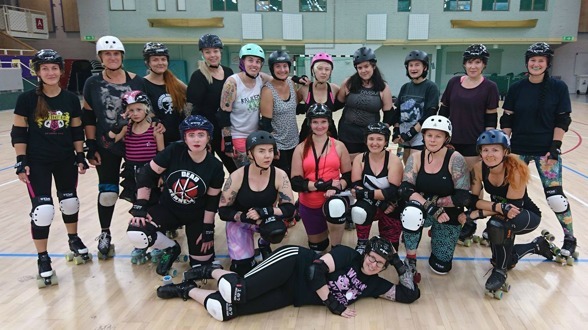 Our rookies have had their first practices and though it might be a bit of a struggle sometimes they are having a lot of fun. 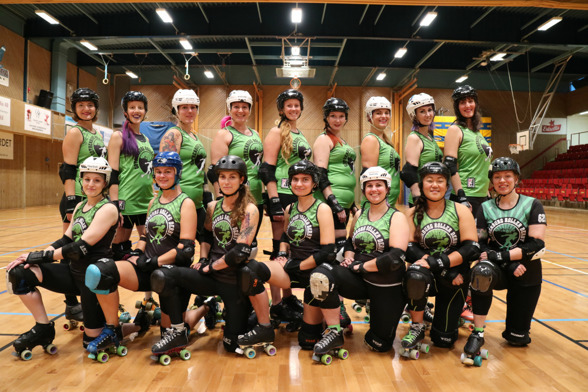 We love to see our league grow and meet our future derby stars. Want to be one our new skaters next season? Sign up here and we’ll get in touch with you before our next try it. It’s also a great time for our teams who are coming together and taking form for yet another season. The A-Team are seeing a few new faces on their roster as does the Badass Beavers. We are happy to see new minimum skills skaters develop and taking their places in the teams. 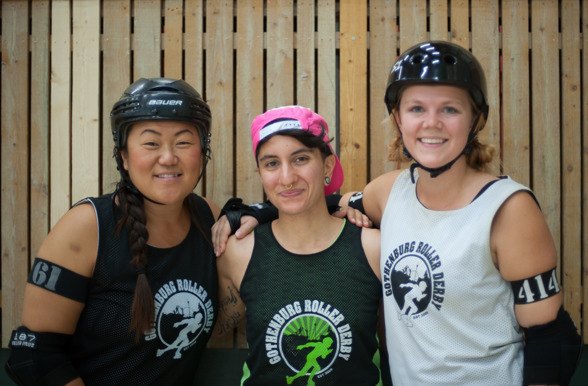 The Badass Beavers will have their first open scrimmage of the season 25/9 – you don’t want to miss it. Follow Gothenburg Roller Derby on Facebook for the Badass Beavers upcoming event and to get the latest news. Check out our Instagram @gbgrd to find out even more about us.